3. @littlemissloon – Little miss loon.. gotta love this bird, she’s actually a proper nice girl, and tbh I don’t really find birds with loads of tattoos attractive but my gosh she’s a right old looker ?? 4. @EvieJayde4 – “A girl in red are always good in bed” haha second time Evie has been in my weekly worldies and you can see why can’t you.. what a salty potato Oi oi ?? go check her out!! 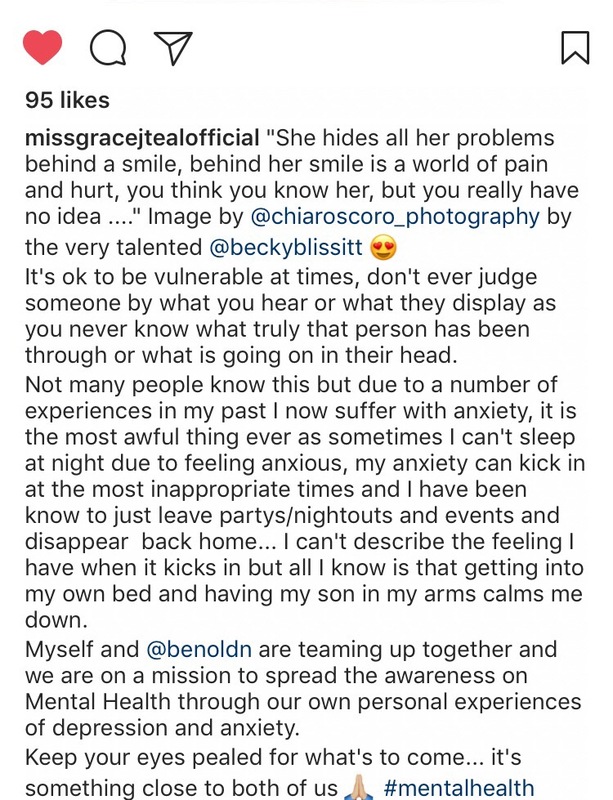 Right as you may know I’m always raising awareness for anxiety as I’ve suffered with it myself but please take a second to read this below from my homie grace! !